The thankless jobs of healthcare professions was the highlight of Monday's Annual Health Awards 2017, jointly hosted by Dubai's Department of Economic Development (DED) and Gulf Medical University (GMU)- led Health Magazine. 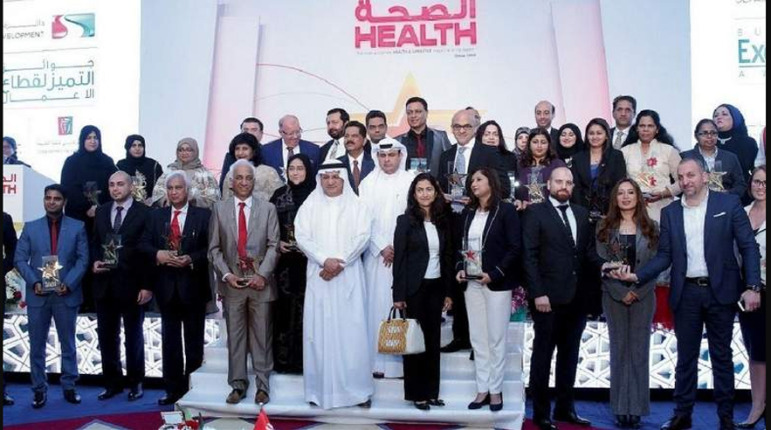 The first-of-its-kind annual health awards showcased the outstanding work by health professionals and companies to improve the health and wellbeing of the country. The inaugural event aimed at inspiring healthcare professionals to create positive change in the community, with increased focus on improving public health, research and innovation. The event saw the participation of more than 600 UAE-healthcare leaders. The chief guest, Humaid Obaid Al Qatami, chairman of the board of directors, Dubai Health Authority, presented awards, alongside Thumbay Group founder and president Thumbay Moideen, to 34 outstanding contributors in both, public and private sectors, and eight legendary dignitaries for their pioneering roles in shaping the healthcare industry of the region. The event commenced with the keynote address by Dr Maryam Matar, founder-chairperson of UAE Genetic Disease Association. Dr Maryam, who has also been named as 33rd most powerful Arab woman, spoke about how education and healthcare are the driving forces behind the innovation sector. "We believe that we must first go to our people, and check on their needs and requirements and then change your policy and procedure to fit them." 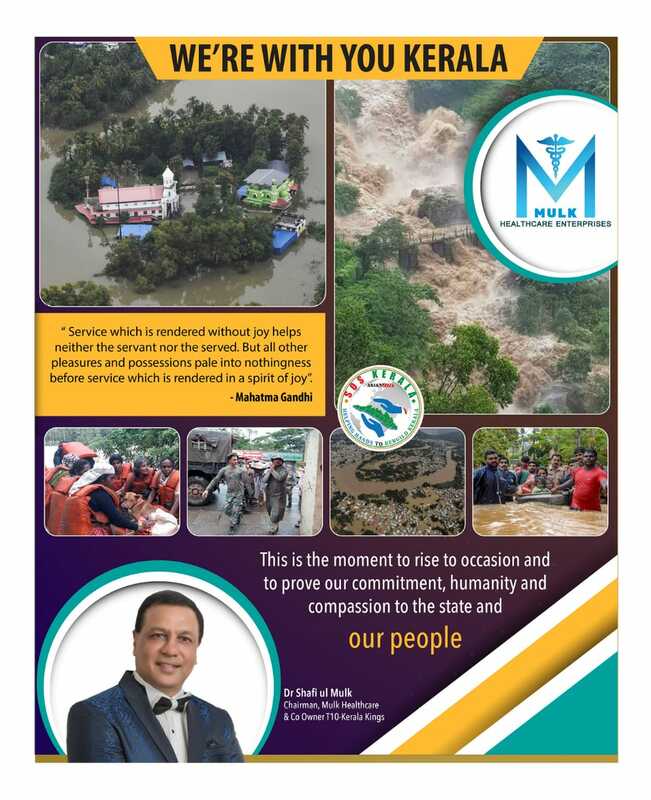 Bagging two awards for the most Distinguished Achievers in Healthcare as well as for innovative technology, Dr Nawab Shafi Ul Mulk, chairman Mulk Healthcare and Global Hawk Imaging and Diagnostics said: "Telemedicine is our forte. The award is a vindication of the vision at GHID and an appreciation of the tireless efforts put in by our global team." Dr Raza Siddiqui, CEO Arabian Healthcare Group and Executive Director of RAK Hospital, who won the award in the category of most Distinguished Corporate Fitness Initiative as well as Distinguished Hospital Infrastructure Development, said: "At RAK Hospital, we believe that a sense of wellness as well as the physical environment play a critical role in patients' recovery." 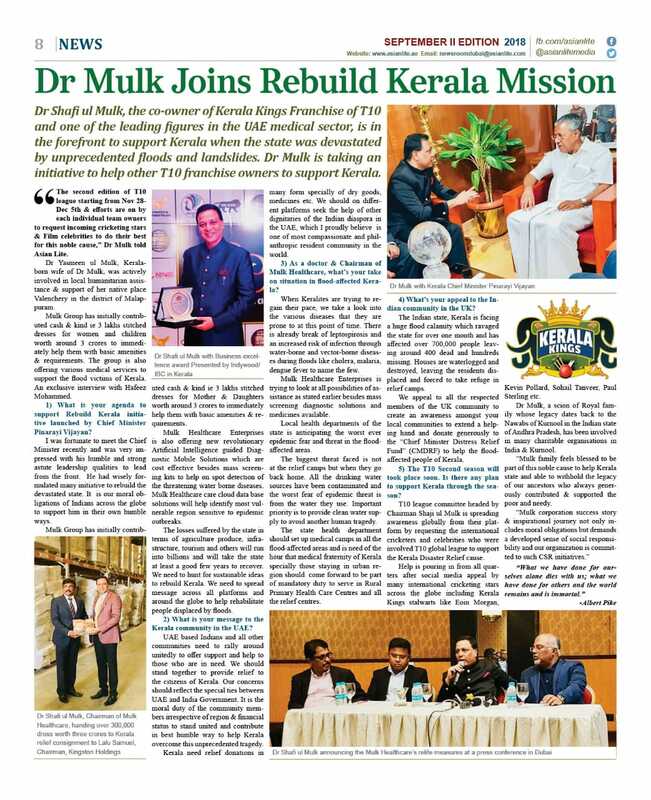 Dr Shyam Viswanathan Pillai, medical director of Dr Shyam's Ayurveda Centre, recipient of most distinguished physician award, said: "I was lucky to get the first licence for practising ayurveda here and have been doing so now for 16 years. We use technology for getting the correct reports and diagnosis of the patient such as MRI, scans. I treat the person rather than the disease and that is our unique approach that led to our winning this award." The distinguished women in healthcare award was shared by Premi Mathew, founder and CEO of Protect Your Mom campaign; and Al Anoud Mohamed Salman, Head of Quality & Excellence Department - Ministry Of Health & Prevention (MoHP). 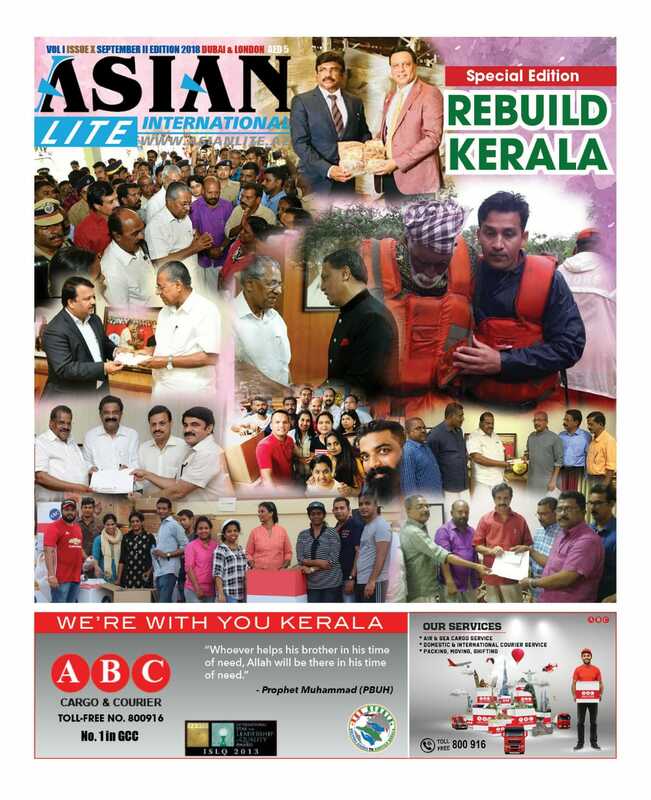 The event was also graced by the presence of Arabic Singer Diana Haddad, Bollywood celebrities Karishma Kapoor and Rana Daggubati and Malayalam actor Jayaram.